Jacqueline works at Lincoln Elementary School in Wheaton, Illinois. She has dedicated her teaching to two challenging areas: English language learning and children with learning disabilities and behaviour disorders. 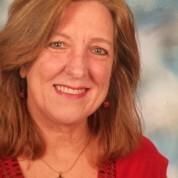 Many of her students meet or pass state tests in the areas of reading, writing and maths, which is a great accomplishment for a special education student. More importantly, her students have won countless awards and recognition in academic, speech- and fine-arts- related competitions, both locally and globally. One of her students was the vice president of the school’s student council, and another the lead in the school play. She believes all students have strengths, which need to be uncovered, developed, cherished and celebrated. Previously she worked as a writer, editor and photographer, and is widely travelled, as a Fulbright Scholar. As an enthusiastic advocate of multiculturalism with a particular interest in Africa, she has been weaving these influences into the majority of her lessons. For instance, Jacqueline spearheaded a writing project in which her entire school district partnered with a district in South Africa. Both sets of students wrote and illustrated entire books for the students in the other country. Having won the Golden Apple Teaching Award, Jacqueline has trained a large number of teachers in the US and abroad for over a decade, working with universities, schools and museums. Some of her classes include: Behaviour Management; How to Help Behaviour Disordered and Learning Disabled Students Reach their Full Potential; Cultural Multidisciplinary Units; Teaching Africa; The Creative Classroom.